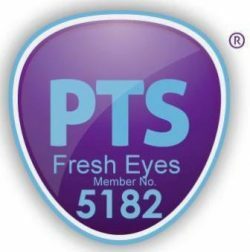 Fresh Eyes – People to People Travel has a binding commitment to link our Just Tours to support for organisations and social movements in the communities and countries that you visit. This is at the heart of who we are, why we are different and why we have chosen to be a community interest company. An important way that you, as travellers, our partners and Fresh Eyes as an organisation will take this forward is through our Community Partnerships and Solidarity initiatives. These will include initiatives through our Community Solidarity Fund that supports the community organisations and social movements that you as guests/travellers have met and to community organisations and social movements in countries that the Just Tours take place in, and elsewhere where solidarity and support is required. It will be run transparently and accountably. You, as travellers, Fresh Eyes partners and the public will all know how it is used and how it is contributing to making a difference. Part of the annual surplus, if there is one, will be transferred to the Community Solidarity Fund. At the end of each accounting year, if there is a surplus from trading, a clear amount will be transferred to our Community Solidarity Fund. The disbursement of our Community Solidarity Fund will be reported on as part of the annual report to the Community Interest Company regulator. In our first, effectively half, establishment year (August 2011 to March 2012) there were no guests/travellers. There was the beginning of an annual surplus which was essential to develop a cash flow cushion to provide secure protection for our travellers’ payments. However the organisation still committed £664.08 to, and then, from our Community Solidarity Fund. We will update you on progress of these initiatives.